This past week, I voted in an American election for the first time. Now, I find this to be no small matter, especially considering the low voter turnout for my demographic. Despite the best efforts of Lil Jon, only 13% of voters in Tuesday’s midterm elections were between the ages of 18-29, which is right on line with the 12% of voters age 18-29 who voted in the 2010 midterm elections. People around the world would give their lives to live in a democratic country where they can have their voices be heard via an election, so why here in America are our youth taking that privilege for granted? I think it comes down to a combination of a few factors, mainly the “my vote doesn’t matter” mantra along with just an overall laziness and unawareness of the issues and the candidates. Jean-Jacques Rousseau famously said in his work, The Social Contract, “man is born free, and everywhere he is in chains.” We here in America, like the locally born and raised Kid Rock, must focus on the first half of that sentence, the “born free” part. Rousseau believed that we are born into a fair society, that the state of nature is good and just, and our government just serves the purpose of protecting our equal rights. He takes what today would be looked at as a conservative, more republican approach, because he doesn’t believe in the government having too much power over the people. 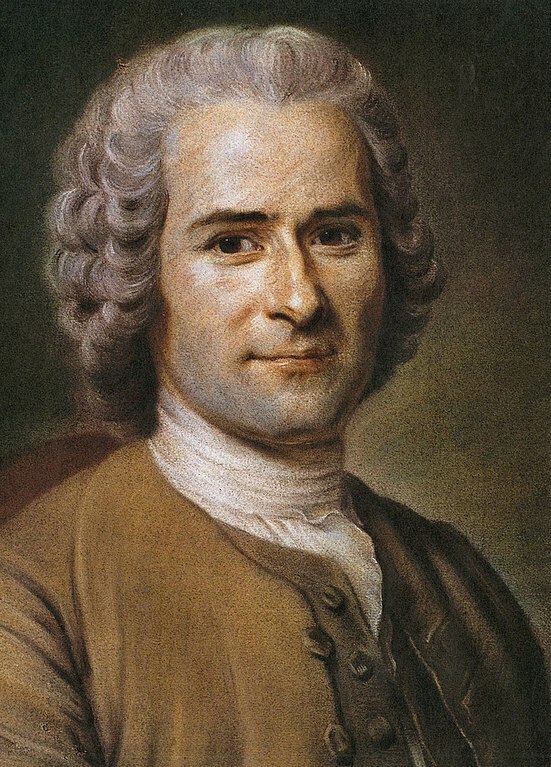 Rousseau also believed that while each person may have their own individual needs, only the overall will of the majority of the people should be dealt with by the government. Reasons like this are why it is crucial that we must vote in the general elections. How will the government know what the majority of its people want, if the majority of its young people don’t even vote? This whole “my vote doesn’t count” mindset needs to be wiped away. I live in Georgia, a decidedly red state, and I voted for mostly democrats, yet I was not going to withhold sending in my absentee ballot just because I thought the candidates I voted for weren’t going to win. I still wanted my voice to be heard, to exercise my civic duty, and to vote in the election. I also understand the fact that many young voters are uninformed; I didn’t know much about the candidates on my ballot either. But you know what I did? I looked them up! We have a wonderful thing these days called the Internet where you can look up almost anything. Take 15 minutes out of your day and look up some of the candidates, and learn their views on issues that are important to you. That’s what I did, and I felt confident when sending in my ballot. Rousseau, along with John Locke and Thomas Hobbes, put forth this idea of a “social contract” between the government and the people. The social contract discusses the role of society and government, and the legitimacy of the authority of government over the people. Locke states that the government should derive its “powers from the consent of the governed.” Hobbes has a different way of thinking, and he believes that life is “solitary, poor, nasty, brutish, and short,” and the only way around that is to appoint a sovereign leader who can make all the decisions, since life is a constant state of war. While all three theorists do an excellent job discussing government and social contracts, I think one point should be added to all of their theories. In places where you have the right to vote, the social contract between a people and its government should only apply to you if you have voted in the election. In America, the duty of our government is to make decisions on behalf of the people, but how will they know what the people want if they don’t vote? The policy makers in government cannot hold up their end of the social contract if they can’t clearly see what their constituents want. While voter turnout overall had relatively average numbers, the demographic I am most concerned about is my own, voters aged 18-24. In order for Washington to truly represent America’s young citizens, the young voters in the United States must do just that: vote. As a Republican from Maryland (which has been a primarily blue, Democratic state), I had the mentality that my vote would not matter. To my surprise, a Republican was elected to be the state’s next governor. This could have been because Democrats that shared my mentality did not bother taking the time out of their day to vote, or could have simply been because they thought the Republican candidate was more qualified and would do a better job for the state. Being completely honest, I did not vote, but only because I did not look into how to submit out of state voting ballots in time. I regret this very honest, and wish I took the time to sign up, but I will be sure to for the presidential election. I see the danger of having a whole generation of people not feeling the urgency to express their powers to vote, and the shockingly low turnout of young voters makes me nervous that we do not care enough to actually help decide who will lead our country.